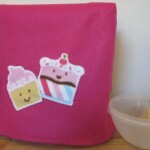 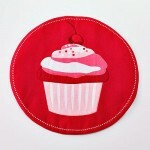 Usually cupcakes are girly but in this cake this cupcake tea towel is a criminal! 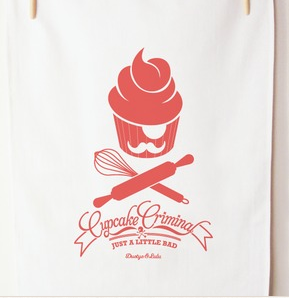 The $22.00 tea towel from Down That Little Lane features a cupcake with a moustache and an eye patch. 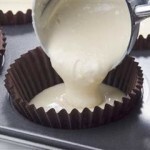 We here at All Things Cupcake love our 16,000+ Facebook fans but I have to give a shout-out to one in particular today. She shared some amazing and awe inspiring photos of her cupcake themed kitchen. 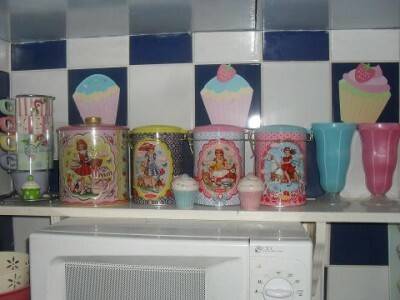 I think she has a future as one sweet interior decorator. 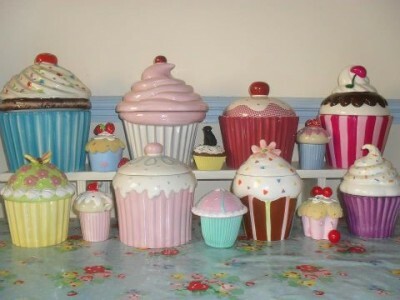 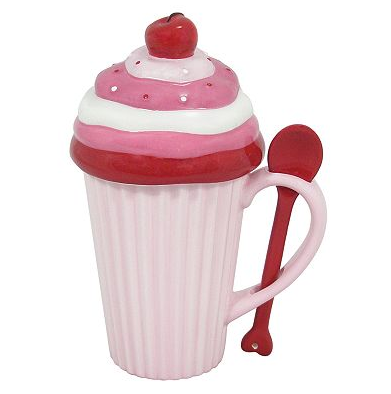 Thanks for being such a big cupcake fan Karen and please share with us where you found all these special items! 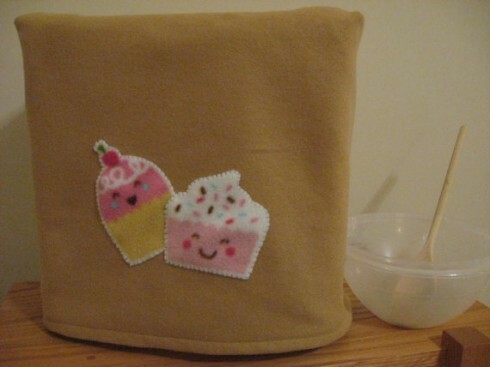 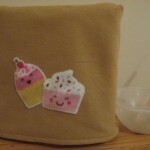 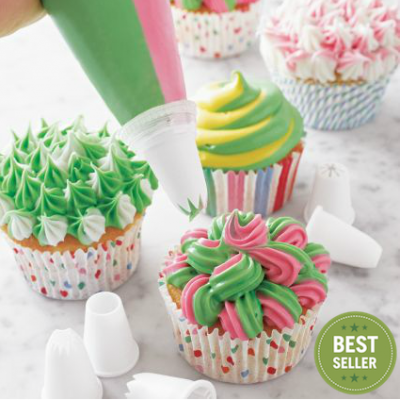 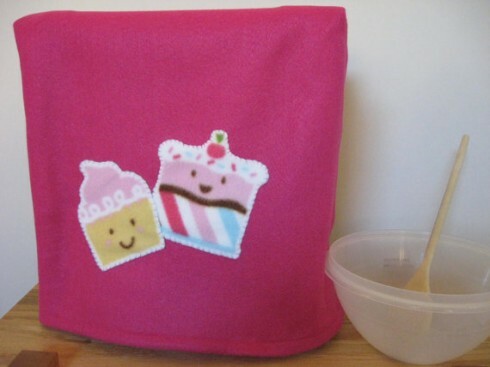 My stand mixer gets quite a workout, and doesn’t have much time to collect dust, but I’m still tempted to pick up one of these cute cupcake stand mixer covers from Etsy seller PlayingWithDolls. 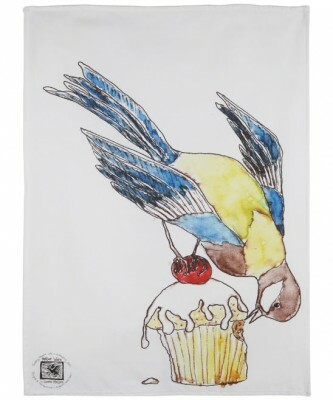 The covers sell for $18 each and 10% of each sale goes to support Volunteers in Medical Missions, an organization that provides free medical care to people in developing countries. 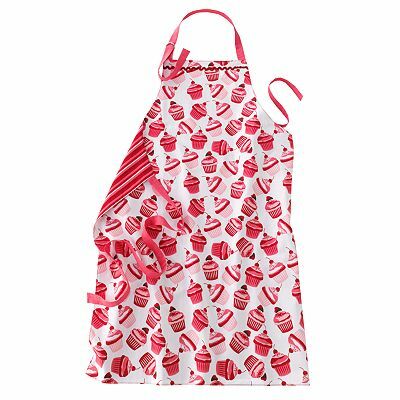 Last week I ran into my local Kohl’s and was excited to see all of the cupcake items they were offering for valentines day. 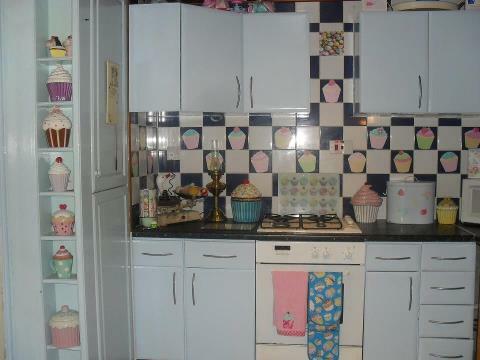 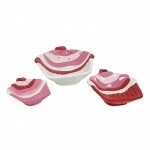 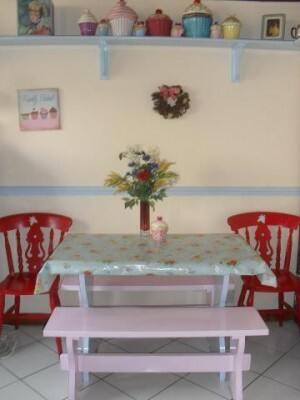 You could easily decorate your whole kitchen in red, pink, hearts, and cupcakes! 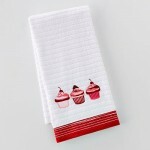 These items would also make great gifts for your special valentine. 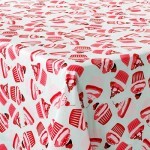 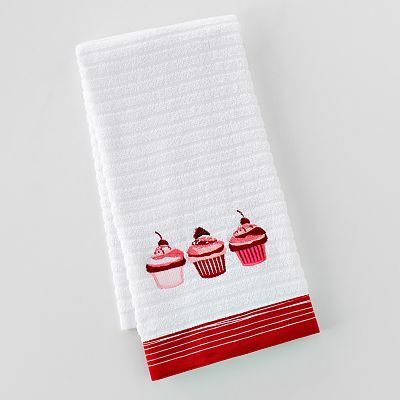 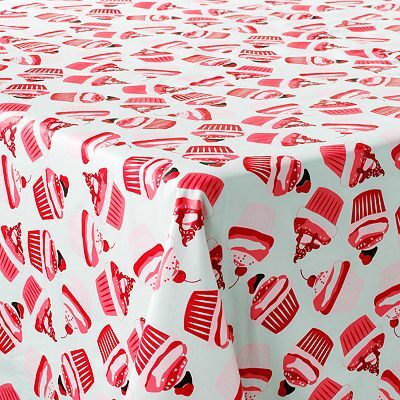 For the kitchen there are cupcake placemats, aprons, kitchen towels and a vinyl tablecloth. 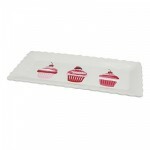 The table wouldn’t be complete without the 3 stacking bowls, cupcake shaped mug and spoon, and the serving platter. 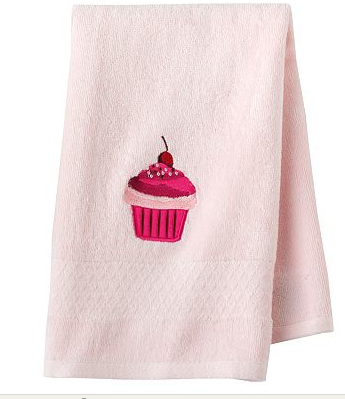 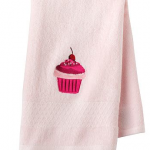 You are also going to want the cupcake hand towel and my Kohl’s had a cute cupcake sign that isn’t on the website. 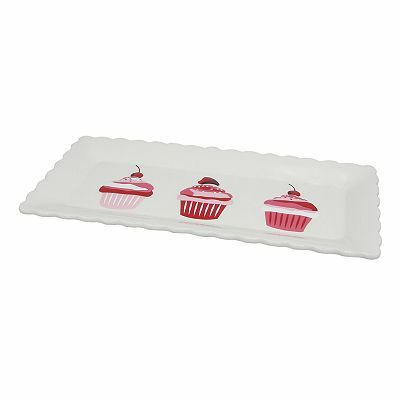 These cupcake items are on sale and affordable so be sure to stop by your local Kohls since Valentine’s Day is only two weeks away!